In Recognition of Exemplary Membership and an Outstanding Spirit of helpfulness and mentoring within the DeviantArt community. Join us in celebrating the latest recipient of the Deviousness Award. My name is Aleksandra and I'm an artist from Poland. In what media do I create? It's hard to tell as often times I feel like a jack of all trades. Art is in my life since I remember - in fact, my oldest memory is connected with drawing. In my early teenage years, I was mostly drawing manga using traditional media. When I joined DA I was sharing photography and my first pixel arts. Before - I posted both photography and pixel art here, now - I moved photography to my other social media. I'm a pixel art creator and a big supporter of this community on DA since then, especially with my weekly pixel art feature. A few years ago I got a graphics tablet from my friend, and I decided to try digital illustrations which gave me a lot of fun while I was drawing! 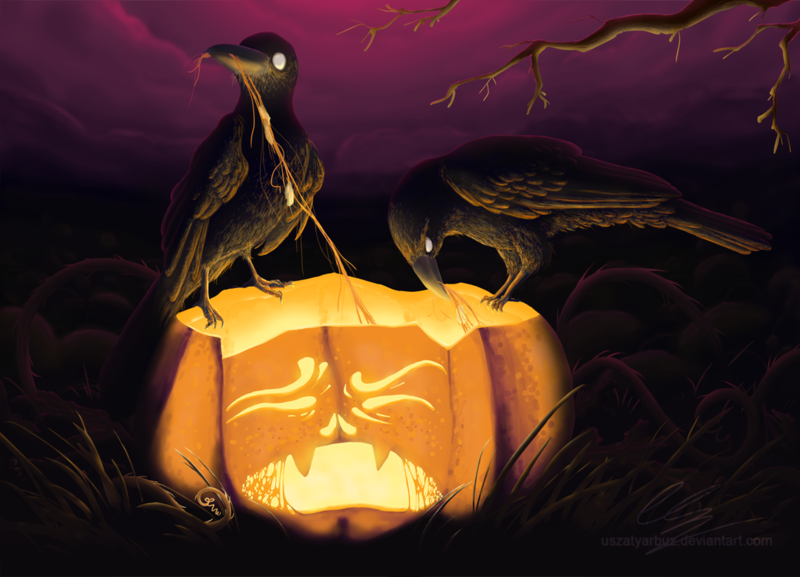 My favorite subject is birds, but I also have a little Halloween-related series of illustrations. In the meantime, I was trying a lot of different artisan crafts: from polymer clay charms, trough embroidery to focusing on creating greeting cards and scrapbooking - which currently are uploaded to my other social media as well. Still, I think I'm most known on DA for my resources and "pimping-up" profiles. As a past student of Applied Computer Science, I gained basic info about HTML and CSS, but to be honest I truly began to use it here on DA. I started with creating journal skins, but then I noticed it's fun to pretty up not only journals but also deviants' profile pages and galleries, making it one whole themed "online business card". I love when someone comes to me with an original idea and it makes me really happy to help people to personalize their page. But most of all I'm happy that so many people got inspired and started to create resources to decorate profiles, for all users regardless of the subscription status. One day I started to ask myself, "Is there a limit on customization on DeviantArt?". I started to explore the possibilities of creating CSS based decorations, and I still learn something new every day. That's what I love about it the most - exploring the possibilities, being resourceful and deepening my practical knowledge. And on the other side - inspiring people to try on their own and helping them to express themselves through making their little DeviantArt home personal and their "own". If you've spent time interacting within the DeviantArt Community, there's a strong possibility that you have encountered a floating watermelon avatar with cat ears — that whimsical icon belongs to UszatyArbuz! UszatyArbuz is one of those people that just continues to give back. Whether she's sharing amazing ways to customize your DevantArt experience, educating through incredible art tutorials, posting inspiring art features, or just generally being friendly and welcoming, it is very easy to see why she is beloved by many. Beyond this, her gallery is absolutely stunning and spans across a variety of mediums. For all of these reasons it is our absolute honor to award her with Deviousness for September 2018. Aleksandra aka UszatyArbuz has been such a good DA friend of mine for years. She is such a wonderful person and is busy, busy, busy on DeviantArt. So busy, I have no idea how she does it all! When I needed help at DevNews I asked her if she could please help out, and she immediately said yes, even though she was already an admin at several other groups. There is a saying that states, 'when you want something done, ask a busy person', and I can attest that is so very true of her. Aleksandra is such a varied artist, but my favorites she does are the painting on craft items, her pixel art and her skins and widget CSSes. She takes commissions, which I've been happily able to take advantage of for Angels-And-Gangstas, but she also creates free skins for the community, including skins for non-core members, which add decoration to a profile page of a Deviant who doesn't currently have a Core membership.If she receives a comment or note Aleksandra will reply. It seems as if I am forever asking her questions or asking for advice and she is right there with her answer and/or her opinion. I listen very carefully to what she has to say. She often posts a variety of feature journals, and when looking through her journal list, it is obvious she enjoys many types of artwork. Many Deviants look forward to her yearly 'Halloween Scavenger Hunt' that is not only fun but has prizes as well. She collects points to be used as 'Hunt' prizes and has the help of many donators. It is a unique experience! If you see a bouncy watermelon avatar, you know you're on the right page for Aleksandra. Many congratulations on receiving Deviousness dear. You are so very deserving. UszatyArbuz is one of those deviants I'm always happy to see pop up in my message center. To me, she seems like a happy medium between peppy and down to earth. I've always loved the work she does, as she without a doubt has remarkable skill and talent. I've been loving learning more about her on a personal level, through her daily status posts for my 30-day photo challenge, and I look forward to hopefully learning even more about her. I'm certainly very happy to see her receive this honor, and always wish her the best! May she stay on DA for a long time to come. I became aware of the friendly watermelon kitty soon after I joined DA, and in a way, it was quite daunting to come across this one person in so many places. UszatyArbuz can be found anywhere - participating in charity collaborations, creating fantastic features, making amazing digital works, doing some pixel madness, crazy coding and let's not forget her Halloween, Scavenger Hunt. I'm happy to say she's one of the BIG names that are not at all imposing when you get to know her. With her immense skill set (some closeted because she's *that* multi-talented) and her great and friendly attitude towards anyone she approaches, it's really no surprise at all that she's awarded the Deviousness Award. Thank you for all that you do, Aleksandra; be it in the background of a gallery or journal skin, on the foreground with the other multitude of art you create or taking the center spot with your amazing personality that is 100% you! She is a very helpful person with a lot of nice resources to support and magnify each deviant's profile page - no matter if core or not. If one needs help or an advice you can always reach her and actually receive help or a solution to your problem. Furthermore, she has a lot of nice designs so that everyone finds something of their liking. I am active in this field as well so for me she is a great inspiration in terms of design and coding. Over only a few months she made massive improvements and I am glad to know her and I will gladly see what comes in future! Who said watermelon? Ola is one of my favorite deviants, we have a little friendship out of DA too and this helped me know her better as a person, and not only as an artist. Her Monday Pixel Madness project is a great one, she featured a lot of pixel artists on those features, also on Fav Feature another great project that she posted. As an artist, she creates great digital art, journal skins, resources, and is a very talented artisan crafter too. Dear Ola, I'm so happy for your deviousness award, wow, congrats girl, well deserved! Keep being awesome, keep helping deviants, and keep up the good work. I first met UszatyArbuz when I commissioned her for a journal skin. I had no idea what I was talking about and I was super picky, but Aleksandra stayed super patient with me through it all and the result was something amazing that I still use multiple times every week! Over time, what started as a business relationship, grew into a wonderful friendship. We laugh, we share thoughts, exchange ideas and above all, she's been a great help whenever I get stuck on something. 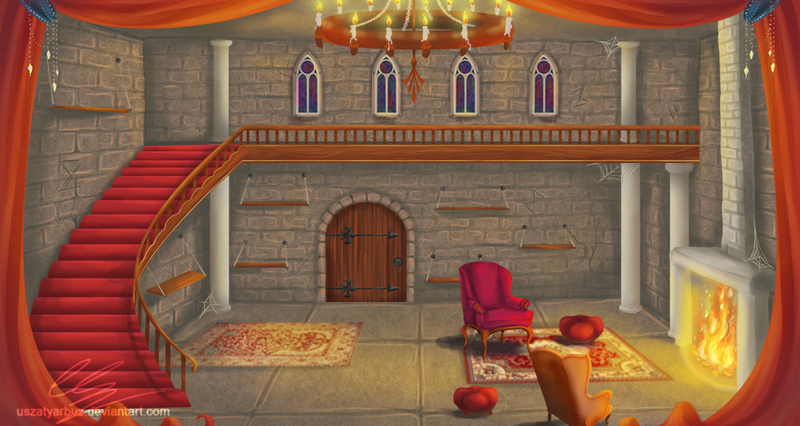 She's a true wizard when it comes to CSS and makes the most adorable pixel art. Dear Watermelon girl, you are an absolutely wonderful person and I value our friendship very much. I am beyond thrilled to see you join the club! Congratulations my dear! . UszatyArbuz is such an inspiration because of the inclusive nature of all of her work and community efforts. Whether it be her enthusiastic organization of contests and events, her endeavor to bring pizzazz to the profiles and journals of everyone through her numerous resources, or the small but not insignificant show of thoughtfulness in her messages wishing people during festivals, UszatyArbuz is an embodiment of everything DA should be about. Congratulations, Aleksandra! This was definitely a long time coming..
@usztyarbuz a deviant deserving of recognition, she is a wonderful part of this community. When I joined this site four years ago, Ola was one of the first deviants that I met. She helped me feel at home within this large database of people. I have never felt more comfortable reaching out to and getting to know someone. She brings a warm feeling to all she meets, and her annual Halloween Scavenger Hunt is always fun to participate in. Ola is a staple to many of us here on DeviantArt, with her award-winning personality, to the imagination she brings to the CSS community. 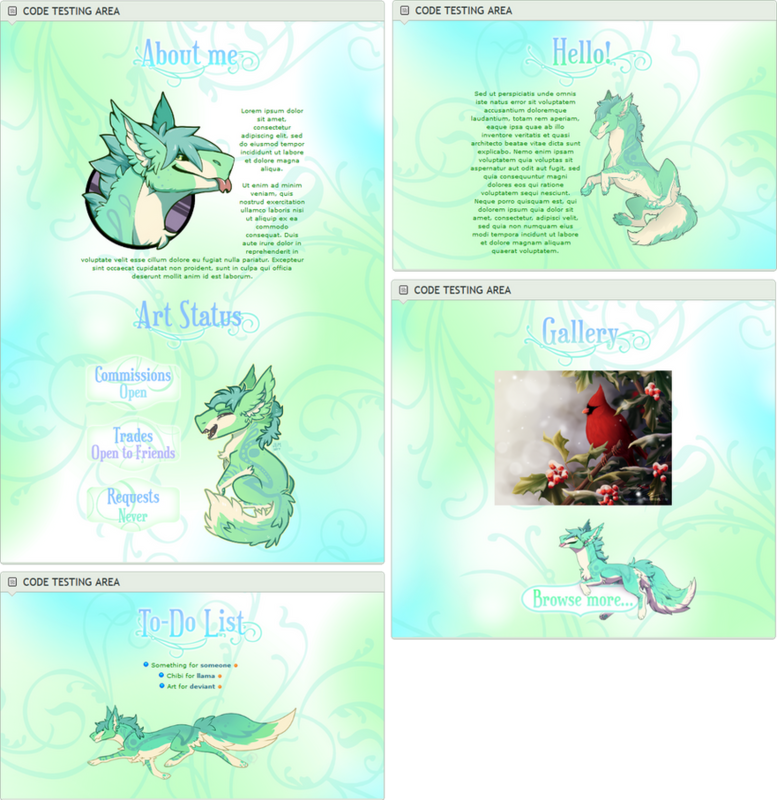 Her seamless Journal, Widget, and Gallery Skins grace many of the profiles on DA (Including Mine). In my opinion, she is the best (and that is my complete and total BIASED opinion)! She is also a skilled Digital Artist, Pixel Artist, and Artisan Crafter. Her gallery is packed full of her special talents. I am honored to consider her among my friends and love our yearly Christmas Card exchange. Congratulations, Ola, enjoy your award, because you deserve it. 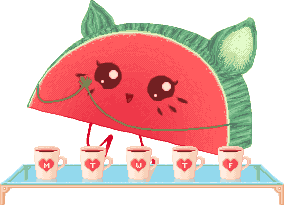 This cute "kitten melon" is very hard to miss in the DeviantArt community. So as her avatar icon is amazing, so is she. A wonderful person to be around, always helpful and kind. Anyone who likes to be special and wants to have a custom look for the profile page or any cool page widget, her gallery is the way to go. Are you clueless about coding and pc language, she will translate it for you. She is a team member of many groups and also a true master of 1000 hobbies. I'm so happy to have met you Aleksandra. Congratulations UszatyArbus on your well-deserved Deviousness award! Aleksandra is devoted to the DeviantArt community and I am not surprised she is finally honored with the Deviousness Award. Her contribution here is truly remarkable. She is an active administrator of many community groups, she writes weekly features, she creates resources to prettify our profiles. She spends so much of her time for others and totally deserves to be recognized. The "Eared Watermelon" is not only an active shining star for our community, she is also a talented digital artist who creates amazingly detailed pixel art, one of many of her passions. 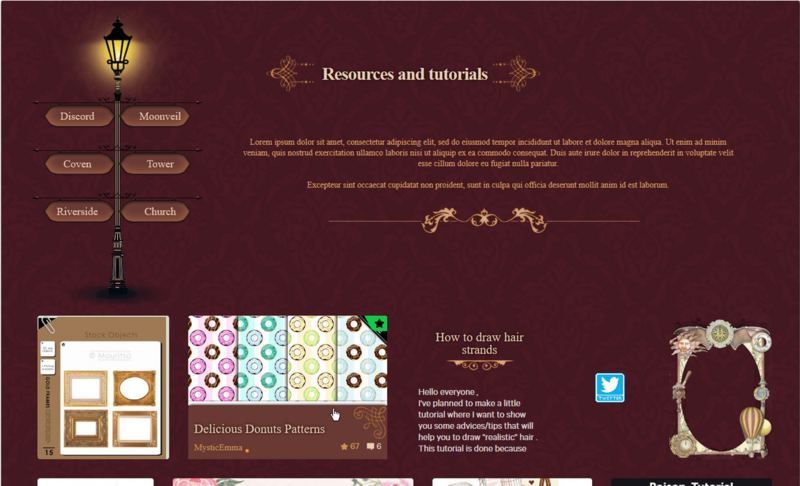 She is skilled at making CSS code for DeviantArt profiles, galleries and journals. 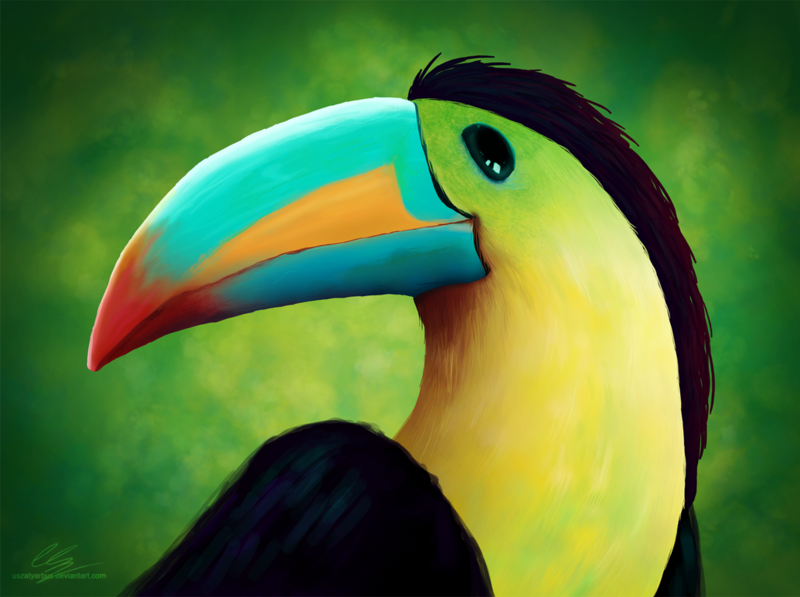 My personal favorites of her are her bird themed digital paintings. Her work is a must see. Aleksandra is friendly and fun, and I am happy to be among her online friends. She is an inspiration to me and probably to many others as well. It's exciting to see her get the Deviousness Award. Thank you, Aleksandra, for your work and your contribution to our community. UszatyArbuz is not only a very talented artist but is also the best CSS coder you will find on deviantArt for your personal or group journal skins. She is very professional and will make certain you are completely satisfied with the final product. Her coding rates are especially affordable and are produced promptly for your needs. She also creates awesome pagedolls, icons and more. I have commissioned her for several of the above aforementioned products and have been completely satisfied every time. She is an exemplary deviant on this wonderful art site and is willing to help anyone in any way she is able. If for some reason she is unable to help answer a question for you she will seek out the answer and direct you to the proper deviants who can assist you. She keeps herself involved in many activities and groups and her annual Halloween Scavenger Hunt is always a huge success. If you're looking for anything fun and deviantArt related she is your "go-to" person. She's fabulous and I couldn't say enough great things about her as an artist, coder and a friend! A HUGE asset to deviantArt! Way to go Aleksandra and a great big Congrats on your Deviousness Award! Well earned and deserved! Ever since I first came across UszatyArbuz's profile, I have been wowed not only by her astounding knowledge of HTML and CSS coding but her friendliness and kindness! I absolutely adore the wonderful resources with which she has provided for the community, and I always look forward to seeing another one of her 'Monday Pixel Madness' features every week! Congratulations, dear Aleksandra! Whenever I think of the talented Aleksandra, the first thing springing to mind are her remarkable code resources and stunning CSS journal designs. I myself have commissioned from her and each journal is its own distinct work of beauty. Aleksandra has such a brilliant eye for detail and vibrancy. Not only that, she is one the most outgoing, thoughtful people you might hope to meet on DeviantArt - filled to the brim with talent and heart. Her diverse gallery stands as a true testament that with hard work, community spirit, determination, and kindness - one can achieve anything. I greatly admire her personal flair as an artist and treasure her as a friend. To that end, I sincerely hope receiving the prestigious Deviousness Award reminds her of the important role she plays within our growing community. The wonderful UszatyArbuz well deserves this honor for all of her ongoing efforts and I happily offer my heartfelt congratulations to her on Deviousness! Aleksandra has been very dedicated to helping make DeviantArt a better place! A wonderful friend you can count on whenever you need her, she always has a positive attitude towards everything she does. I've had the pleasure of seeing her in action as a group Admin, and it is such a pleasure having her around! Her coding skills inspire me! I love her special widgets and her non-core journal skins are one of my favorite creations of hers!!! She's skilled in multiple art categories, so visiting her gallery is always rewarding, because you'll always find lots of amazing creations to admire and be inspired by! It is such a JOY seeing such a good person, artist and friend being recognized in this lovely manner <3 CongraSUPERtulations, my dearest Ola!. From all the things I could list about Ola with this wonderful occasion, the first one which comes to mind is her friendliness! She has a style of interacting in the community which is direct and warm. This, coupled with her hard work and the skills she gained over the years, transformed her account into a reference point on DA! The joy she has in playing with designs, nerding around in CSS and HTML, made the work of many features so much fun and so much easier! The tutorials she wrote over the years, and the continuous help she provides in various groups, together with her constant featuring activities, have inspired and supported so many around DA! She cares deeply for this community, and if you've never taken part in one of the events organized or supported by her - keep an eye for them - they are really fun! Smart, witty, reliable and hardworking - she's really deserving of this award! How I could have missed this I have no idea, but huge congrats to you UszatyArbuz, it’s so well deserved! Just an event where you search for pumpkins... too bad I haven't seen your comment earlier! Thank you so much again to all who sent congratulations, to all people who contributed for the quotes, that has been really a roller coaster of emotions while reading it as I never could expect so many people to contribute! And also thank you Moonbeam and Staff for consideration, that was surely a BIG surprise!! Still to this day I'm wondering how did it happen you even noticed me? I am so happy for you !!! Oh my gosh, congratulations ! I really enjoy your cute art style, especially your little watermelon OC you've made. Every time I see him (her?) I automatically know its you, right off the bat . Since you like providing resources for others, maybe you can consider being a community volunteer, if you're up to it that is. And speaking of learning HTML, I've learned to code a little myself -- self taught in fact, but I brushed up on the skills in early high school. Don't use them anymore since I've dropped coding but oh well. Congratulations on your award again! No problem, it's well deserved ! Ah, I see. That's alright . I didn't know just how much she did until I checked her profile. Celebrating Deviousness - March 2018 In Recognition of Exemplary Membership and an Outstanding Spirit of helpfulness and mentoring within the DeviantArt community. Join us in celebrating the latest recipient of the Deviousness Award. Happy 18th Birthday DeviantArt! (now with winners! Please join us in congratulating the winners of our DeviantArt Academy Scavenger Hunt! Also, a special THANK YOU from our team to SmolSalty for creating our Graduation Fella mascot for this contest! Celebrating Deviousness - July 2018 In Recognition of Exemplary Membership and an Outstanding Spirit of helpfulness and mentoring within the DeviantArt community. Join us in celebrating the latest recipient of the Deviousness Award. Welcome Ellysiumn, Astralseed and niivu! 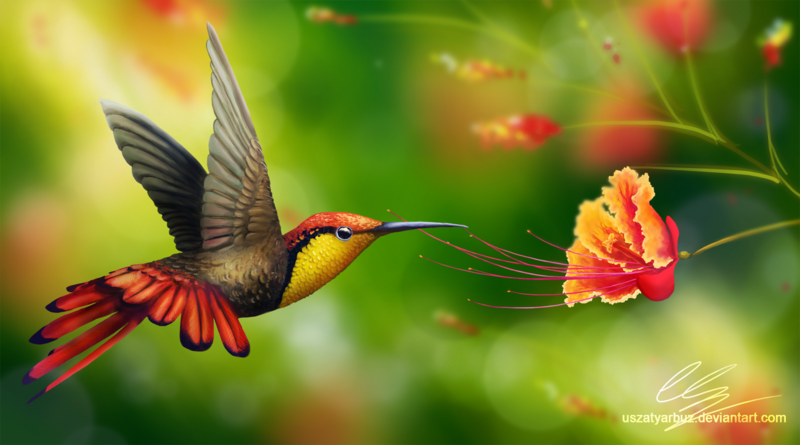 Celebrating Deviousness - January 2019 In Recognition of Exemplary Membership and an Outstanding Spirit of helpfulness and mentoring within the DeviantArt community. Join us in celebrating the latest recipient of the Deviousness Award. Celebrating Deviousness - August 2018 In Recognition of Exemplary Membership and an Outstanding Spirit of helpfulness and mentoring within the DeviantArt community. Join us in celebrating the latest recipient of the Deviousness Award. Celebrating Deviousness - May 2018 In Recognition of Exemplary Membership and an Outstanding Spirit of helpfulness and mentoring within the DeviantArt community.Join us in celebrating the latest recipient of the Deviousness Award. Please join me in welcoming TokyoMoonlight to the Community Volunteer team! She'll be helping us highlight and support the amazing Traditional Art community on DeviantArt! Take a moment and say hi! Celebrating Deviousness- October 2018 In Recognition of Exemplary Membership and an Outstanding Spirit of helpfulness and mentoring within the DeviantArt community. Join us in celebrating the latest recipient of the Deviousness Award. All "official" contests will begin at midnight PST on the start date and end at 11:59 PST on the end date. This applies to all Community Relation run contests and all DeviantArt sponsored contests. 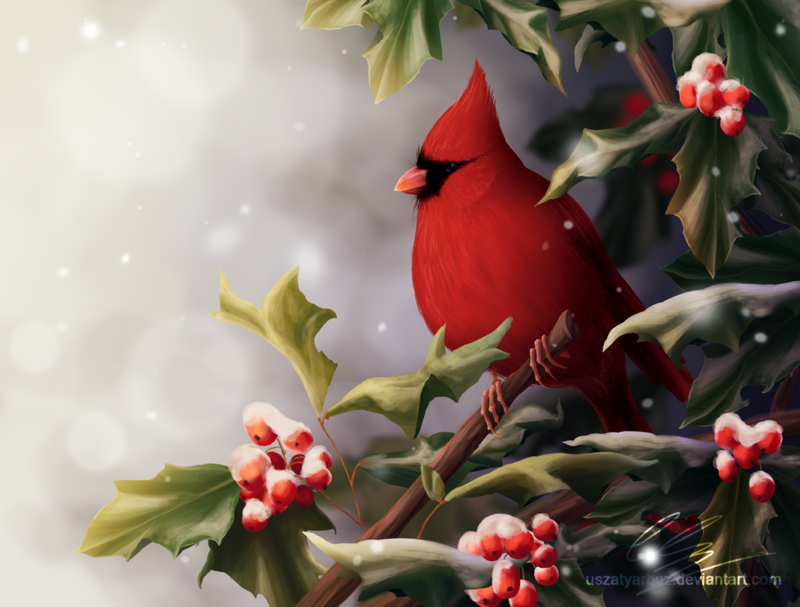 Celebrating Deviousness - December 2018 In Recognition of Exemplary Membership and an Outstanding Spirit of helpfulness and mentoring within the DeviantArt community, join us in celebrating the latest recipient of the Deviousness Award! Celebrating Deviousness - June 2018 In Recognition of Exemplary Membership and an Outstanding Spirit of helpfulness and mentoring within the DeviantArt community. Join us in celebrating the latest recipient of the Deviousness Award. I’m a fantasy gown designer based in Los Angeles. What started as a hobby back in Texas where I grew up, making fantasy costumes for my sister and me, turned into a full time career. Back in 2002 I made cosplay outfits for the two of us to wear together to conventions. My costumes began to attract a lot attention and people offered to pay me to make their dream cosplays! So, what's the deal with DeviantArt Staff? This is a bit of an unusual journal from me, as I very rarely give life updates here on DA, BUT, I did something really cool recently (just got back from doing it today actually...) and so I figured, why not tell you guys about it. Last Thursday I flew to Los Angeles, California to help give some feedback and help to DeviantArt Staff at their lovely L.A headquarters. Why me? Well, it wasn't just me, JenFruzz, Queen-Kitty and KovoWolf were also flown out to do the same thing! Give feedback and help? On what? What could you possibly know anything about Mrs-Durden ?? The YearbookDeviantArt is turning 18 years old and that means it is time to graduate and join "the real world" as some like to call it. One of the most common keepsakes from high school is the yearbook. It's a way to look back years later and point at your classmates wondering "who is this again?" and "did they even go here?". You can browse photographs from various school events like field day or prom. Oh and don't forget about the awesome quotes that the students get to leave by their graduation photo! The communityrelations team has created this yearbook (Ok, it's a journal but we're artists. Use your imagination ) and would love to have you sign it for us! We have some prompts to help you figure out what to write down. We can't wait to see your replies and look back on them years from now with fondness, amusement, and hey! Maybe even some healthy fear. Will You Sign Our Yearbook? What would your graduation quote be? Holiday Card Project 2018 Wrap-Up! Celebrating Deviousness - November 2018 In Recognition of Exemplary Membership and an Outstanding Spirit of helpfulness and mentoring within the DeviantArt community, join us in celebrating the latest recipient of the Deviousness Award! BATTLEFAIRIES is a legend within the Literature community on DeviantArt whose talent extends across a variety of mediums. She is an active and beloved member of CRLiterature and projecteducate and has singlehandedly run THE GAUNTLET, a writing contest featuring prompts that increase in their brutality, for its second year in a row. If you are one of the numerous people who have favourited her work, you've likely met "
Heya, I’m Qing. I’m a background painter for an animation studio in Canada who likes to just draw my own concepts and girls for fun in my off-work time. This is why you won’t be seeing backgrounds in my personal work; I deal with it too much at work, hahaha. I still remember the moment my highschool friend introduced me to DeviantArt, back in 2005. I grew up in a family that disapproved of me doing art, so I wasn’t allowed to draw at home. DA was really the place where I got the encouragement and confidence to try and convince my parents I wanted to become a professional artist. Happy New Year, and welcome to 2019, deviants! We hope everyone had a relaxing and fun holiday, and we can’t wait to dive into this year’s updates and fixes! Embedding deviations and pasting thumb codes are back! Try pasting a deviation URL in a comment or a journal! (Popular request! )You can now include a deviant’s avatar using the “Insert Emote” button. (Popular request! )The top navigation bar now has a light theme!You can now search for a specific artist’s deviations and other content by searching for “ @username ”When adding a deviations to a comment or journal using gallery mode, the editor now shows the limit and number of deviations chosen.Fixed issue where Feedback would not be sorted correctly after you reach the end of each “page” of results.Deleting deviations, status updates, journals now properly reloads the page.Artist hover cards now appear when on usernames, not just avatars.When rolling over your own avatar, the hover card no longer says “Message” and “Watch”Adjusted size of the artist hover card to be more compactOn donation pools, the number 0 would overlay on the word “Goal” when you initially add the section.When hovering over default donation pool bar, it shows “NaN%”.The donation pool’s meter displayed as full when they were empty (0/0). Beta Test: Report ModalHello, Beta Testers! We'd like to share with you a preview of a visual and organizational uplift to our Reporting Modal. "Modal," in non-tech terms, just means "the pretty square box that isn't quite a window, but allows you to interact with elements separate from the page without leaving the page." Recently, you might have noticed that the "Report" button moved more front-and-center -- directly above the description and to the right of the title and artist's name. We're now testing an updated flow once deviants click the Report button. All Reporting functions that existed directly before this update still exist now, such as reporting a deviation for requiring a Mature Tag, or reporting a deviation as being Malware, etc, etc. They're simply organized a little bit better. Beta Test: New Profile URLsDeviantArt is constantly evaluating better ways to serve our community, from new features to the subject of this update: subdomains! In order to better serve you, we’re changing the subdomains from username.deviantart.com to deviantart.com/username. But don’t worry, username.deviantart.com will not break—your old links/URLs will redirect to your new URLs. We know a lot of deviants are attached to their URLs, so the decision to make this change was not done lightly. Part of the decision-making process involved surveying active deviants, and we discovered the overall sentiment was fairly neutral. Most people did not strongly prefer one or the other -- as long as old URLs redirected. But, most importantly, we believe this change will be beneficial for you. Ever think about joining the communityrelations team? For this Community Week, I chased down most of the CVs and made them answer some questions about what our role is really like, what type of a commitment it requires and what type of a person it takes to fill the spot well. We apologize in advance for being so wordy, but it's a subject we're passionate about! Now sit back and enjoy the dialogue. Who are you? What do you do outside of DeviantArt, and what kind of art do you make? Voyage to the unknown: Master JournalWith the amount of people jumping in on this new "Voyage to the unknown" project, I wanted to create a master journal where I will collect all of the journals that have been put together following my initial post! This journal serves the purpose of explaining the project, and collecting everyone's journals, so feel free to include it in your new "voyage to the unknown" collections, and please leave a comment with a link to your awesome journals so I can feature them here! What is it? Well, in each monthly feature Moonbeam13 begins by describing Deviousness as an accolade given "In Recognition of Exemplary Membership and an Outstanding Spirit of helpfulness and mentoring within the DeviantArt community." But the purpose of today's article is to chat with some recent recipients of this award! Joining us for today's interview are five of 2017's Deviousness awardees: neurotype, CapnDeek373, takmaj, C-91, and TamberElla! Let's get the introductions out of the way! "Call me neuro. By day I analyze data, punch things, and cut trees, by night I sometimes draw or write. I ended up here waaaaay back when because a friend told me about the site way back when and asked me to join so I could help her clean up her favorites. Obviously, I got a bit distracted along the way." DeviantArt's Birthday Chat/Forum Events!Howdy there! This Tuesday, August 7th is DeviantArt's 18th Birthday! To celebrate this, the CR team has a big scavenger hunt game you can find out about here: Happy 18th Birthday DeviantArt! But we also have some chat and forum fun in store for you as well! A great chance for you to have fun but also possibly win lots of prizes! Indeed, we like to make it rain on DA's birthday many and 3 month core memberships will be up for grabs! Even participants who don't win will get rewarded. What's going on with DeviantArt?There's a lot of changes going on with DeviantArt, and we recognize that this is irritating. We don't want it to be irritating, but unfortunately we don't have a choice. DeviantArt must transform. The live product is failing to interest as many new members as it used to. We've identified many of the reasons for this, and we're making transformative changes to help new users adopt DeviantArt. We especially want new users to come in and Watch Deviants, and begin conversing about Art. Ultimately we want new Deviants to post Deviations and contribute to the community. DeviantArt is meant as the place to support people in the world as they become more creative in their lives. As a community, we represent the journey of being a more creative person. The current state of DeviantArt isn't adequately communicating our value to new members. And the products they are using confuse them. We've interviewed new members on the phone, in surveys, via email. We know what the issues are. Celebrating Deviousness - September 2018 In Recognition of Exemplary Membership and an Outstanding Spirit of helpfulness and mentoring within the DeviantArt community. Join us in celebrating the latest recipient of the Deviousness Award.